Some people fear that lifting weights will make them look muscular and bulky. But weight lifting is not about getting bulky. While some people find 20-inch biceps and thunderously strong thighs appealing, this is not the only reason to hit the weight room. Lifting weights will give you an edge when it comes to belly fat, heart disease and will help you look good in a bikini. Here are some great reasons to start lifting weights. Muscle weighs more than fat. This means that having more muscle is the key to having less fat. In a study conducted by Penn State, dieters who pumped iron while doing cardio lost 6 more pounds compared to those who only did cardio. This is because lifters lost pure fat while the cardio group lost fat and muscle. While dropping fat sounds like a great idea, it will not help you look good in the mirror. Yes, it will make you look thinner but having muscles will make your clothes fit better and give your body definition. Lifting weights will help your body burn more calories even when you’re sitting on your couch. This is due to the fact that your muscles need to repair itself after working out. According to research just by doing 3 big muscle move exercises, metabolism could be increased for up to 39 hours. It also burns more fat calories compared to other exercises. Weight lifting is also a good way to alleviate stress. Instead of taking it out on your co-workers, family or friends, you can be more productive by channeling all that stress in the weight room. 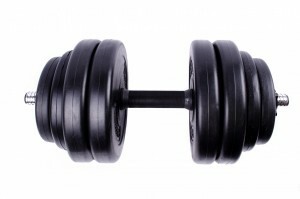 not only will you feel more relaxed after a weight lifting session, you will also burn more calories and lose weight. in fact, scientists found that people who lifted weights had lower levels of stress hormones compared to non-lifters. As we age, our bones will grow more brittle and become weaker. Weight lifting on the other hand has the opposite effect on our bones. The good news is that weight lifting can help strengthen bones. Studies show that 16 weeks of resistance training increases the levels of osteocalcin (marker for bone growth) by 19%. Exercising is a great way to keep heart healthy. But did you know that weight lifting will make it healthier? Studies conducted at the University of Michigan discovered that people who did 3 total body workouts a week for 3 months had lower levels of diastolic (bottom number) on their blood pressure readings by an average of 8 points. This lowers their risk of stroke significantly by 40% and heart attack by 15%. Eleiko – Strength & Conditioning Equipment. For Professionals & Champions!